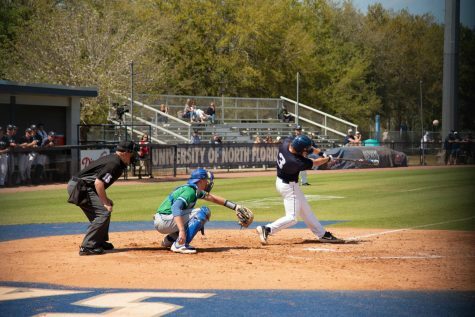 The Ospreys had a strong 8-3 win, sweeping NJIT over the weekend series led by four Ospreys recording three hits apiece. 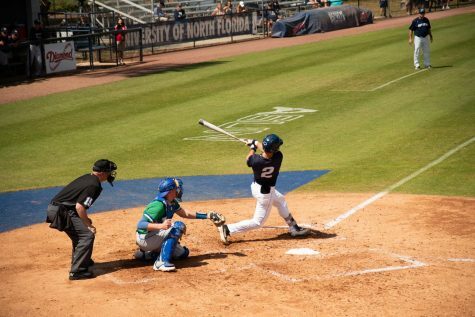 UNF was on the board in the first inning when Redshirt-Senior Wes Weeks drove in a run on an infield single for an early 1-0 lead. 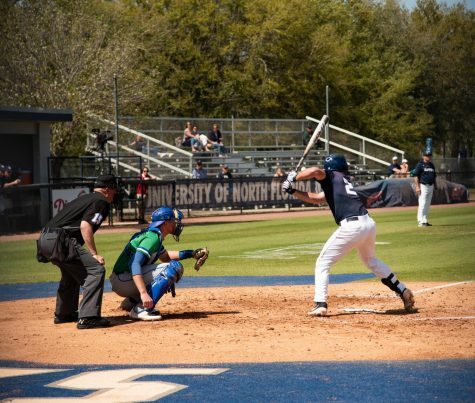 After NJIT took a 2-1 lead in the fourth with RBI’s from Junior Matthew Cocciadiferro and Sophomore Paul Franzoni, the action heated up in the bottom of the fifth inning. Senior Jay Prather scored all the way from first on an errant throw from the catcher and Senior Chris Berry also scored on the throw. 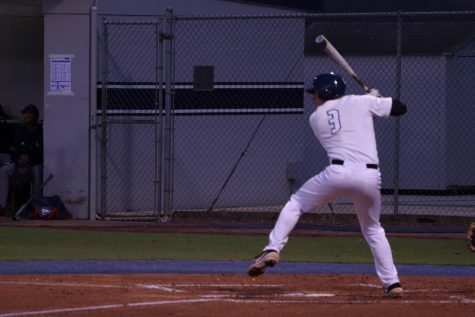 Junior Tanner Murphy followed up with a solo smash to left center, pushing the lead to 4-2 UNF. The Highlanders scored again in the sixth when Freshman Brett Helmkamp scored on a ground ball to first, cutting the Ospreys lead to 4-3. 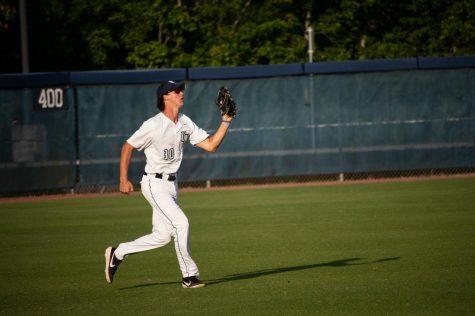 When the Ospreys were due up in the bottom of the sixth, Murphy drove in a run on a single up the middle for a 5-3 Ospreys lead. 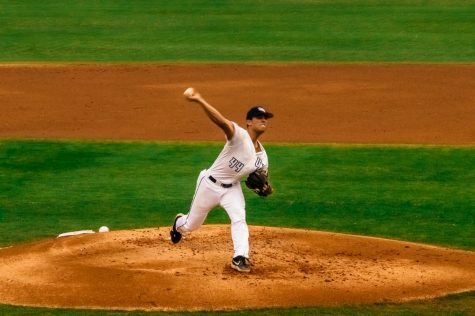 The bats were still hot in the bottom of the eighth when Prather plated a run on a single to right center. After a sac fly to drive in one by Murphy, Junior Tanner Clark drove in a run of his own on a double to right center to cement the 8-3 win. 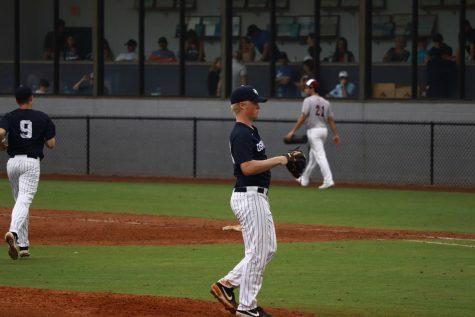 Junior Brandon Reitz earned his third win of the season with five innings of three-run ball and punched out two. Berry, Prather, and Murphy all earned three hits apiece. 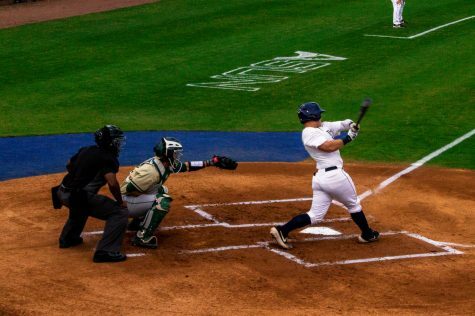 The win improves UNF to 21-16 (7-5 ASUN) and the loss drops NJIT to 11-18-1 (3-9 ASUN). The Ospreys head to USF for a non-conference matchup on Tuesday, April 16 at 6:30 pm.